SOMS “6th Grade Winter Party”! 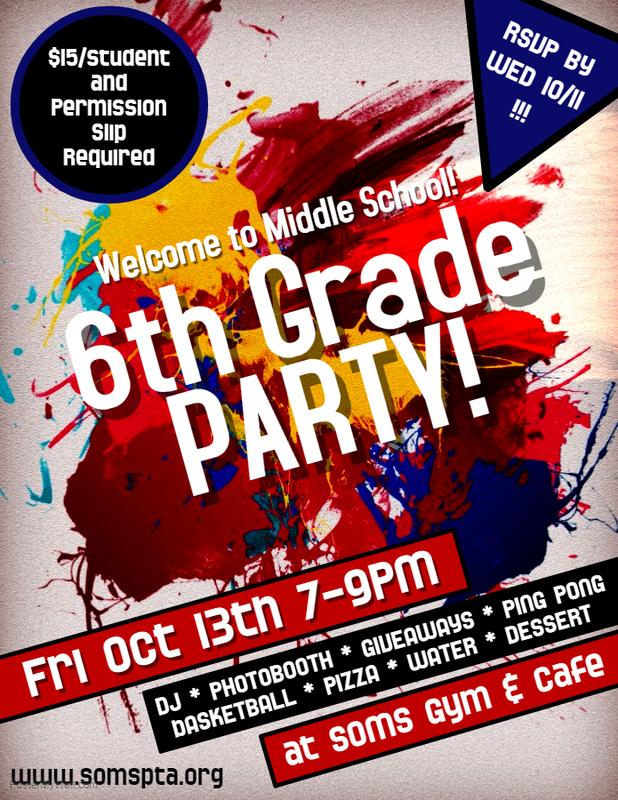 The SOMS “6th Grade Welcome Party” will be held on Fri, Oct 13th from 7 to 9 PM at SOMS. In order to hold the party, we MUST have a minimum of 100 students signed up. Students ARE NOT permitted to walk-in or pay at the door on the night of the event. Payment and permission slips are due by Wed, 10/11/17.